This is a pile of Hasbro's first Transformers: Dark (not side) of the Moon official movie merchandise: a tiny Optimus Prime wearing a rocket pack that comes with a pair of 3D glasses (for you to wear, not Optimus). This particular Walmart has already marked the figure down to $5.00. The clearance tag says it was originally $7.96. This premature markdown trumps McFarlane's Prince of Persia toys for fastest trip to the clearance aisle. Walmart's clearance aisle can be hit or miss. 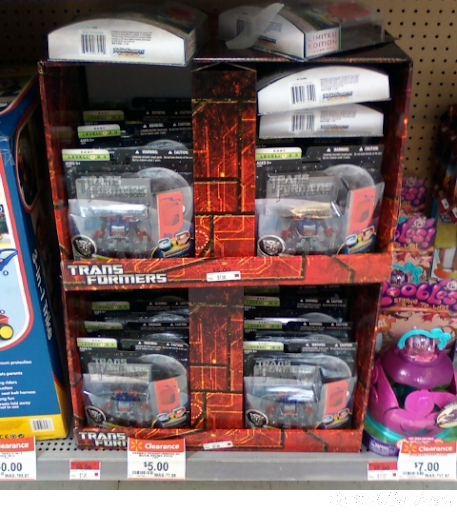 Anything that doesn't fit in the normal toy aisle will normally end up there, even if the posted "clearance" prices are exactly the same as the "normal" prices. 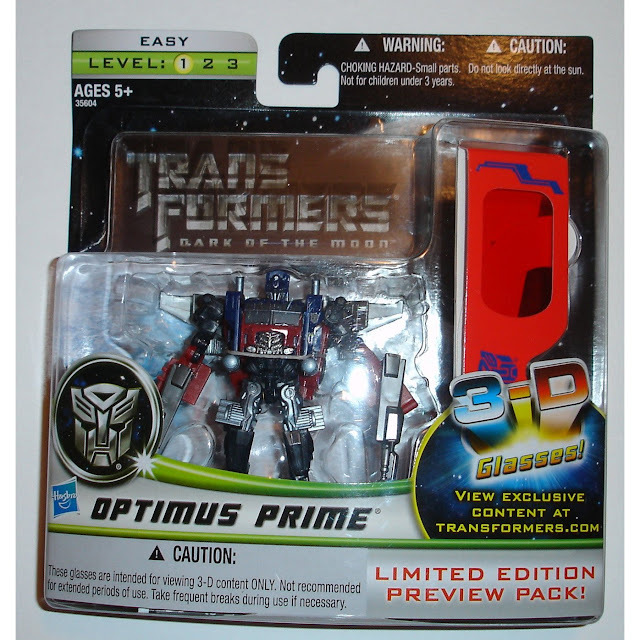 I actually saw a shelf full of these same Optimus figures in the regular action figure aisle on a peg marked $14.96. Unfortunately with the current state of out-of-control toy pricing, I didn't even question that Hasbro and Walmart were expecting people to pay that much for an ounce of plastic and cardboard.